Iswi Inc Society have had the honour to welcome Kasha Nabagesera from Uganda at 2nd June. 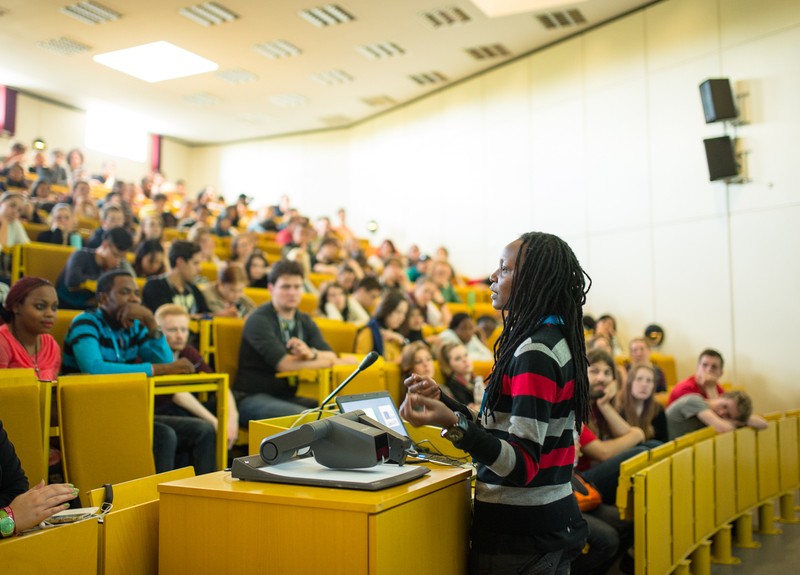 For the ISWI 2015 the LGBTI-activist gave a lecture about her experience in the fight for respect for the LGBTI-community. The full up lecture hall listened carefully to Nabagesera. In her lecture she spoke about the discrimination of lesbian, gay, transgender and intersexual people in her country. She gave many examples of what had happened and many listeners were deeply moved by her report. But she also spoke about the progress of her work. Slowly the organisation she founded achieved some improvements and rights in Uganda. Based on the cultural diversity of the audience the lecture resulted in hot-blooded discussion. Nabagesera ended the discussion with a request of more respect for the LGBTI- community.